…and British city dwellers generally. You don’t have to travel far in a city to find a self-storage unit. It’s the equivalent of garden shed, loft space, or garage to millions of people who live in cities, and the business experienced rapid growth in the UK in the early 2000s. 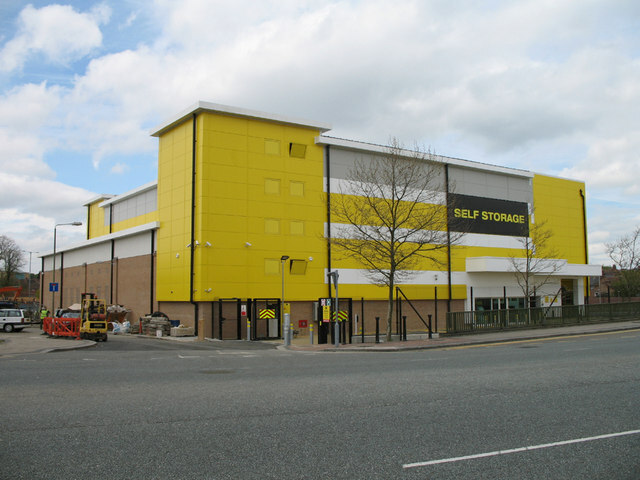 As part of “closing a loophole”, the Government will be levying 20% VAT on self-storage rentals from October. Now, to paraphrase the Mayor of London, Boris Johnson, developers behind new build in London have a habit of constructing “Homes for Hobbits“, which usually means small houses or flats with little or no storage space. If you live in a flat, you’ve no loft space or an “under the stairs”, and if you can afford to live in a house, there is a massive trend to convert the loft into an additional bedroom, “den” or study. So, you need somewhere to store all the things you don’t use regularly, but at the same time don’t want to get rid of – such as Xmas decorations, spare furniture, DIY and decorating things (that would normally be in your garden shed), and even things such as formal clothes, or seasonal clothes, because your flat is so small there’s no space for “idle” stuff. The basic gist here is that the average Londoner, living in the average London house, needs to use self-storage, or has to live an increasingly disposable lifestyle. This is borne out by the sheer number of self-storage facilities in London and other cities, compared to elsewhere. Imposing VAT on self-storage is feels like a tax on already expensive city living. The other choice is to live an environmentally unfriendly throwaway lifestyle. This is without even considering the impact on the self-storage business in terms of people’s livelihoods. I wonder what the Mayor’s position is on this new tax on Londoners?